That line from Baz Luhrmann’s “Everybody is Free (To Wear Sunscreen)” has been impressed on me for the longest time. It has influenced me in such a way that I do not use hair styling products like wax, clay, pomade, cream, and whatever else. I would rather that it was tousled because it meant I could feel the air in my hair than never at all. Yet I always think about it when I get a brand new haircut. My hair – particularly the back part – tends to stick out when it’s newly cut. Even if it’s heavy with water, it still stands up. So, when people look at me, I do not know what exactly they’re looking at: the clean shave or the odd clump. It makes me conscious in a terrible way. For the record, I have tried hair styling products but never stuck with them. This is hugely because of one reason: headaches. Whenever I use those products, I get a headache that would last all day. And even if I wash it off in the evening, the annoyance lingers for a couple more hours. That is one annoyance I could do without. A doctor-online contact said it might be because of the chemicals, which I smell then resulting to the headaches. 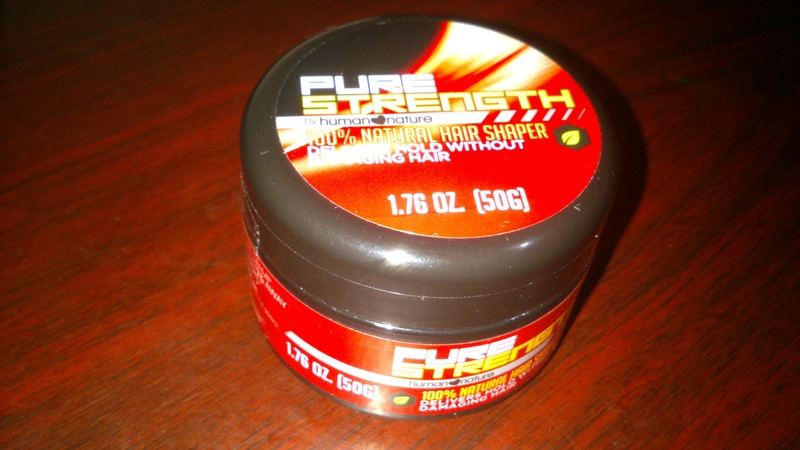 Another contact recommended that I use products that use natural ingredients, like Pure Strength. I’ve seen Pure Strength before. And was it expensive, compared to the others of the same regular size. I don’t want to shell out more than Php 300.00 for something that I might use only once and never again because it might disagree with me. Then just last weekend, I saw a smaller version of it, which costs only Php 99.00—and just after I had my haircut! How timely. After three uses of Pure Strength (twice for the office and once for church), I discovered a number of things. It smells just like other hair styling products. It feels more like a cross between wax and cream but it’s more wax than cream. It’s not as greasy as other products; it does wash off easier than the others. The hairs that get the product do not become stiff; they could still be styled with the help of little water. Hair clumps do not have the post-gel use look. Another thing I discovered: hair styling products make my head feel hotter. With soaring temperatures like the ones we have here now—while Pure Strength is itself good and I myself like it—I wouldn’t use it as much; only when I’m assured of AC all day and if I have a brand new haircut. Between looking great but having headaches and looking okay but headache-free, I would the latter than the former. Actually, I do use it every time I get a new haircut. At least, for this year. I was using it this week, save for today because I wore a cap. I think I remember seeing Lush along with Pure Strength. But size and price for a trial did not agree with me. 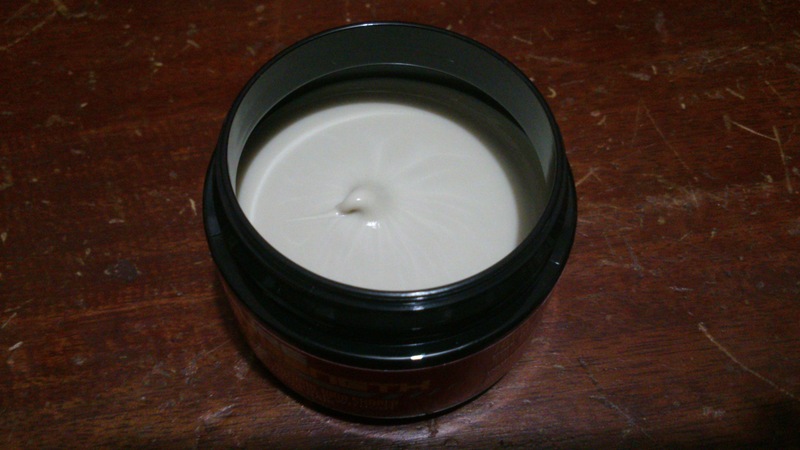 Other guy contacts are raving, saying that it’s now pomade. As much as I’d like to try, I am hesitant. Pure Strength? Yes. Lush? Not sure. I’m trying to recall but can’t. It was months ago when I last saw it–and in a hurry, no less. Yeah, I’ve seen the Lush one but not the large tub for Pure Strength. Where’d you find the large Hair Shaper? I wanna buy that next though, as I’m looking for an alternative to pomade. At least, I remember they had a bigger tub back in summer, which was when I first saw it. The thing with pomade is that it’s rather difficult to shampoo compared to this one. The Pure Strength Hair Shaper easily washes off with water (maybe due to the kaolin clay) – much easier with warm water. Sure, there may be water-based pomades like JS Sloane but those are pricey. That’s one of the things that I see missing with (men’s) hair product reviews: how it is when it’s being washed off. When I read reviews, it’s price, location, smell, texture, packaging–the usual. Then again, hardly anyone talks about products post-use. And – if rumors are to be believed – some sleep with products still in their hair then wash it off during morning bath only to put product back on again. I’m no expert but that sounds dangerous for hair. I risk sounding ignorant but I’ve never heard of that one happening before–for hair products, that is. That does make me iffy, though.